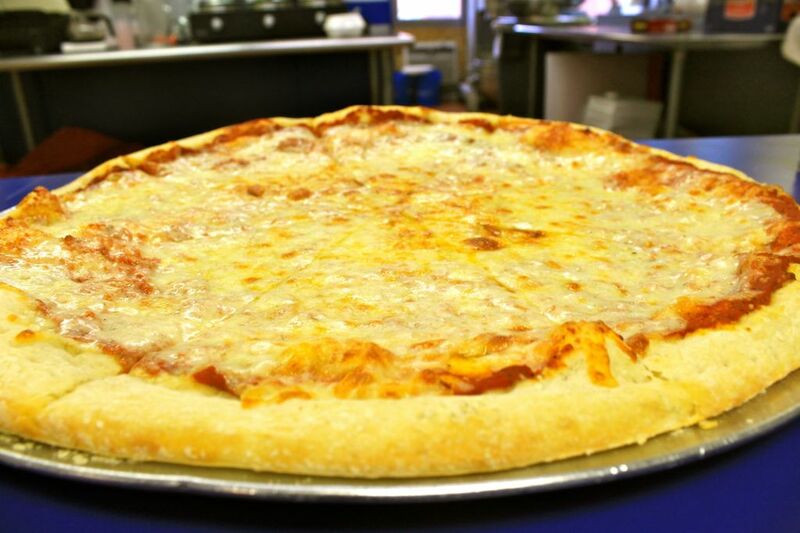 A student attempts to find the best pizza at State College, and succeeds. Listen up, Penn State. Far be it from me to speak ill of Canyon Pizza; our own little home away from home, the pizza joint that’s always been there for us when we needed it, that welcomes us at any hour of any night with open arms and a $1.00 slice of pizza. But have you ever wondered if maybe there was something more? Have you ever wondered if there was perhaps a slice of pizza within arm’s reach that you didn’t need to be a little, ahem, tipsy to truly enjoy? Well, fellow pizza-lovers, you need wonder no longer, because I, but a humble girl with a love for pizza, have embarked on a mission to answer that question. There’s some darn good pizza tucked away in the less-visited corners of our town. But which is the best? 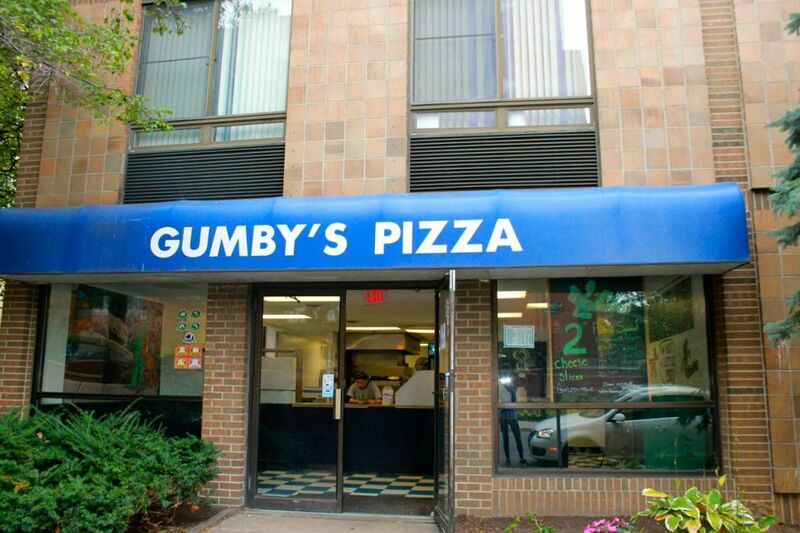 Is it Gumby’s, a by-and-large fan favorite, though those Pokey Stix may be the main objective and the pizza just ordered as an afterthought? 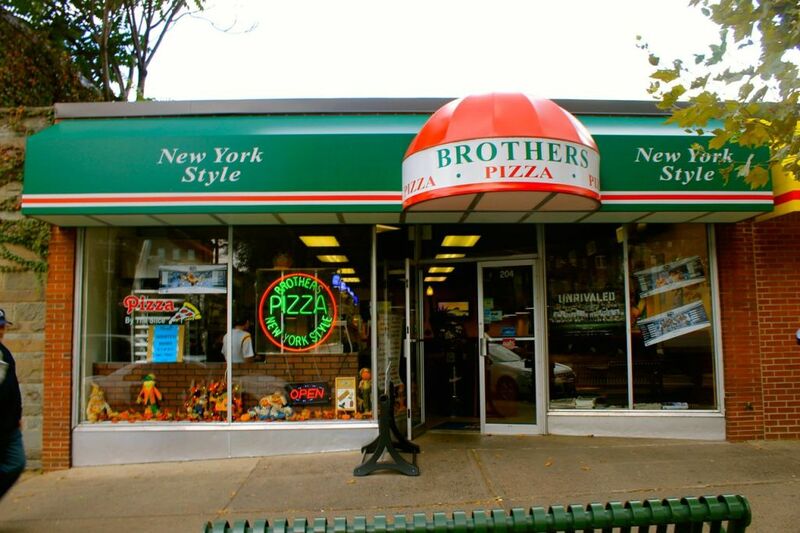 Or maybe Brothers’ New York Style, which was actually suggested to me by my dad, who dined there when he was a student back in the day? 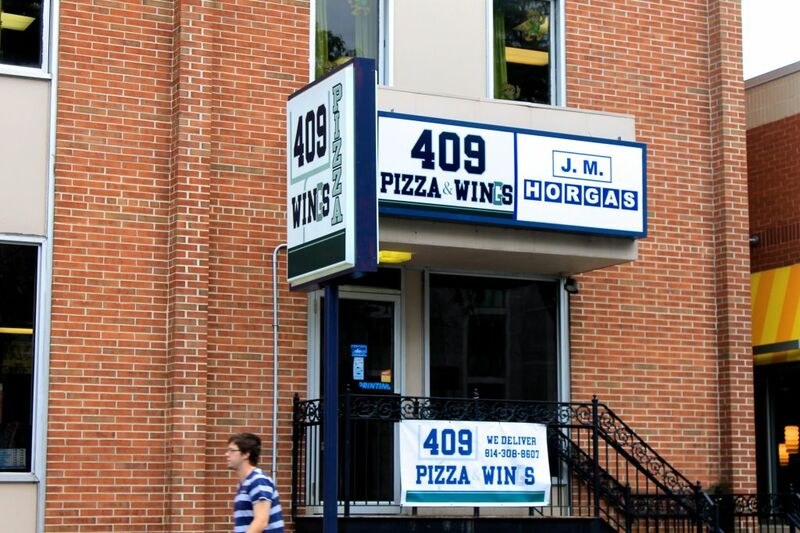 Or perhaps 409 Pizza and Win(g)s, a brand-new addition to the fine dining family in State College, whose namesake gives it some big white socks and black shoes to fill? Well, after tasting a slice at five different spots all over town, rating them with criteria such as cheesiness, sauciness, crust density and crunchiness, I’ve come to a conclusion. All five competitors offered me a good slice of pizza. Some were better than others, and I would like to extend a shout-out to Mamma Mia’s pizza, who, while not giving me the absolute best pizza, was the first business in my extensive OrderUp history to actually fulfill my request of writing a joke for me on the pizza box (it involved Justin Bieber, it was glorious). But at the end of the day, I’m here to find the best pizza, and that, for me, was 409 Pizza and Win(g)s.
The cheese was perfect, gooey and just on the right side of greasy that it didn’t make you feel bad about yourself, but still let you feel like you were treating yourself a bit. The sauce was great and the crust was doughy and crunchy– not too hard and not too soft. It was just a really, really great slice of pizza, and it was only $1.00! I would have easily paid more for a slice like that. Naming your business after our beloved Joe Paterno’s football record opens you up to some high expectations and I have to say, mine were met. Not to mention, they had absolutely delicious-smelling wings that I would’ve been more than happy to dig into if I hadn’t been on a very specific mission. Maybe next time? Canyon will always be there for us (we can count on that), but if you’re ever wanting to expand your pizza horizons, definitely give 409 a try!